Live price from London Heathrow on CA airlines. Live price from Manchester on LX airlines. Live price from Manchester on LH airlines. Live price from Manchester on AY airlines. Live price from London Heathrow on EY airlines. Live price from London Heathrow on QR airlines. Live price from London Gatwick on TK airlines. Live price from Manchester on CZ airlines. Live price from London Heathrow on BA airlines. Live price from London Heathrow on SU airlines. Live price from Glasgow on VS airlines. Live price from Manchester on EK airlines. Live price from London Heathrow on BI airlines. Live price from London Heathrow on CX airlines. Flights to Hong Kong operate from London airports Heathrow and Gatwick , and Manchester Airport. Chep Lap Kok Island Airport hosts International flights to Hong Kong. UK and EU citizens do not need visas for Hong Kong. Taxis can be found outside the Arrivals Hall – the colour of the taxis indicates the different destinations. Lantau area is served by blue taxis, green taxis are served the New Territories and red Urban taxis serve all of Hong Kong. Airport Express train connects the airport to the centre in 25 minutes. Buses are also available from the Airport Ground Transportation Centre. Hong Kong is a special Administrative Region of the People’s Republic of China. It has one of the largest ports in the world, and is one of the leading financial centres of Asia and the world, Hong Kong is a fusion of Eastern and European cultures. Pearl of the Orient – is the most common title for the description of Hong Kong. Sometimes this city-state is called the Asian New York. You can hardly call the Hong Kong a Chinese city just because almost all the inhabitants speak English. Despite the colonial history Hong Kongers did not become British, but they did cease to be Chinese. Hong Kong is not the biggest city in the world, and not even the largest city in China, in total it has a little more than 7 million people. However, Hong Kong is an important city in the financial world. «National Geographic» names it “the third largest financial centre in the world, and the eleventh largest industrial zone.” Hong Kong is famous for its gold and foreign exchange markets, trade, manufacturing, film and much more. By the way, the port of Hong Kong is the third largest in the world. Annually more than 7,000 ships from around the world arrive to the pier of Hong Kong. Hong Kong earns and spends money with unexplained gluttony: busy city streets of HK have more “Rolls-Royces” per square kilometre than any other place. However, Hong Kong has another glory: the most densely populated city in the world. About 7 million Hong Konger live on 1,100 square kilometres of land, the population density is about 6,500 people per square kilometre. However, such statistics can be misleading, as the city is populated unevenly. Only 10 percent of the area is populated, which means that on average, for every square kilometre there are 54,000 inhabitants! In Mang Gok one square kilometre homes 140,000 people! And although a lot of Hong Kong land is reclaimed from the sea, there are still areas called “dango” where people are crammed into junks or boats. Most people in Hong Kong are Cantonese (95%), mainly speak Cantonese. There are two official languages: Cantonese Chinese and English. Many have moved to the city from the Chinese mainland, especially from Shanghai. The area has immigrants from India, Pakistan and Nepal, many of whom live in Hong Kong for several generations. In recent years, more and more immigrants arrived in Hong Kong from the Philippines, Indonesia and Thailand. The majority of them work as domestic servants. Moreover, Hong Kong is also home to a significant number of people from North America, Japan and Europe, making the city truly international. Although legally Hong Kong is part of China, the former British colony has its own laws. The country has all the rights and freedoms inherent in a democratic state. Hong Kong is located to the south of China, 32 km east of the Pearl River mouth and 135 km south-east of Guangdong province. The city is bordering with the South China Sea in the west, south and east. HK is separated from the mainland by Hong Kong harbour of the natural origin. In the north the city is bordering with the Hong Kong Special Economic Zone of Shenzhen. Hong Kong Flights in China have very competitive price for the flights. On first acquaintance Hong Kong can overwhelm. Navigate its teeming, tightly packed sidewalks and you’re met at every turn with neon signage, steam-filled canteens, molasses-slow traffic and a Babel of chatter.Once this first sensory wave has rolled over you, though, take a deep breath and start swimming with the current, because you’ll find Hong Kong is a place to delight in. Utterly safe and fantastically well organised, it offers little moments of perfection. You may find them on a plastic stool enjoying a bargain bowl of beef brisket soup or simply gazing at the thrilling harbour vistas. You’ll find them taking afternoon tea in the cool of a five-star hotel lobby or enjoying balmy open-air beers in the party zones. 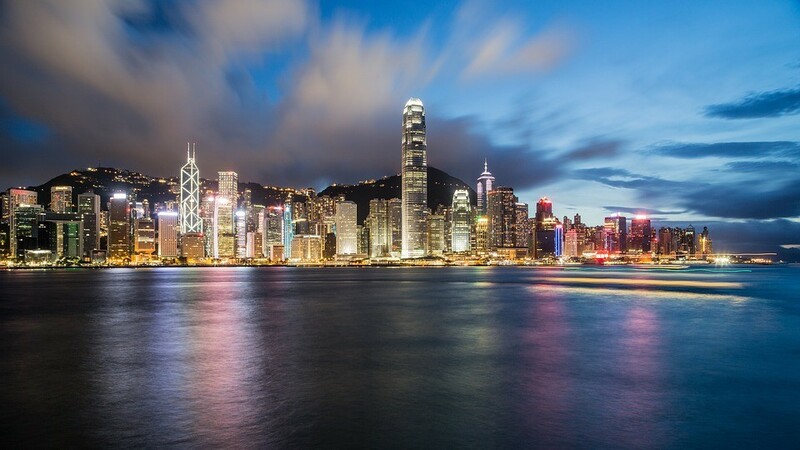 Hong Kong can nudge you out of your comfort zone but usually rewards you for it, so try the stinky beancurd, sample the shredded jellyfish, brave the hordes at the city centre horseracing and join in the dawn tai chi. Escape the city limits and other experiences await – watching the sun rise from a remote mountain peak, hiking surf-beaten beaches or exploring deserted islands.If it’s pampering you’re after, money can buy the ultimate luxuries in a city well used to serving its tiny, moneyed elite. Yet Hong Kong is also a city of simple pleasures. Most often it’s the least pricey experiences – a $2 tram or ferry ride, a whiff of incense curling from temple rafters, savouring fishing-village sundowners and seafood – that are the stuff of priceless memories. Browse flight offers to Hong Kong or use the search box to enter your travel dates to find flights to Hong Kong, or wherever you want to go. Are you flexible on when you travel? We can show you the cheapest days of the month to fly. Book with confidence: ATOL (9364) protected.